The Battle o Flodden, Flodden Field, or occasionally Branxton (Brainston Moor) wis a militar combat in the War o the League o Cambrai atween the Kinrick o Ingland an the Kinrick o Scotland, resultin in an Inglis veectory. Elliot, Fitzwilliam (1911). 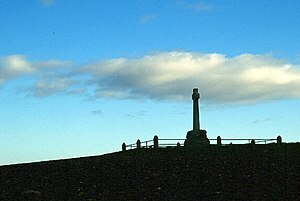 The Battle of Flodden and the Raids of 1513. Edinburgh: Andrew Elliot. This page wis last eeditit on 9 Apryle 2018, at 18:36.